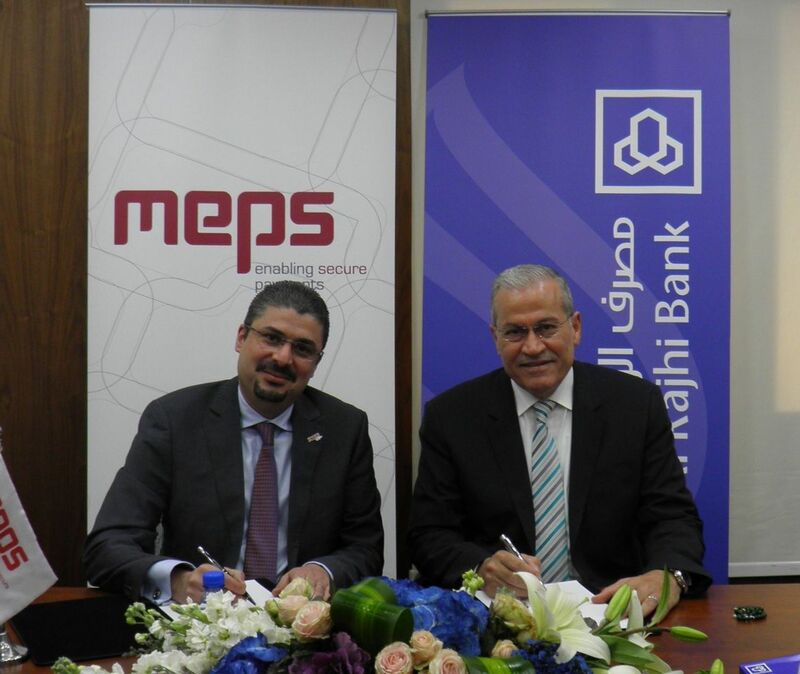 Amman, February 2018 – Al Rajhi Bank – Jordan has signed a cooperation agreement with Middle East Payment Services (MEPS) to provide the Bank with a wide range of services and solutions across the region. The agreement was inked on Wednesday 31 January, 2018 at the Bank’s headquarters in Shmeisani, in the presence of Ahmad Al Khub, Al Rajhi Bank’s CEO, and Walid Al Nasser, MEPS CEO. By virtue of this agreement, all of Al Rajhi Bank – Jordan’s clients will be able to enjoy a wide range of services from MEPS, relating to card management for all types of cards, including the instant issuance of direct debit cards, credit cards and prepaid cards from the Bank's branches, in addition to the acceptance of various card types at the Bank’s ATMs. MEPS will also provide an anti-fraud management and control system across the region, as well as other innovative services. Commenting on the agreement, Al Nasser said, “Here at MEPS, we strive to provide innovative and secure solutions and services, to meet the ever-changing needs of our clients. We are pleased to be working with Al-Rajhi Bank – Jordan, providing a range of advanced banking services that will enhance the Bank’s leading position in the region, as well as meet clients’ needs, and facilitate their banking transactions. This agreement also underscores our continuous efforts to provide our multi-sector clients with modern technological solutions, which, ultimately, will strengthen our position both locally and regionally.